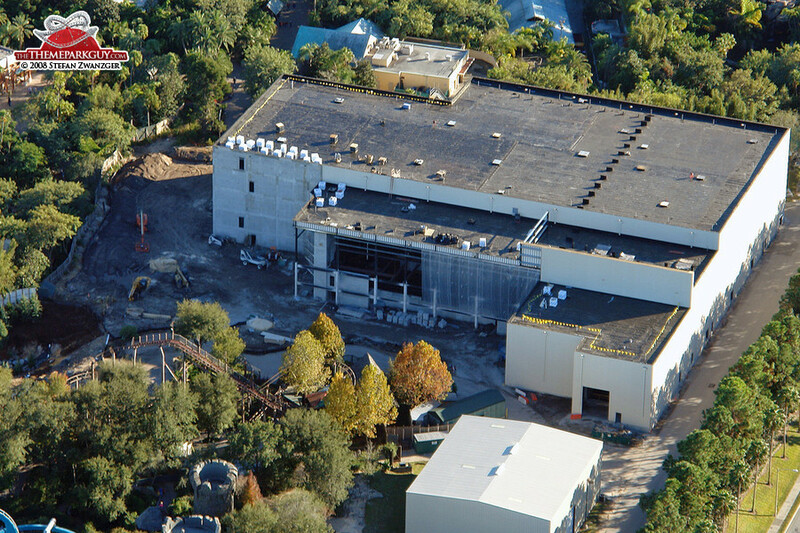 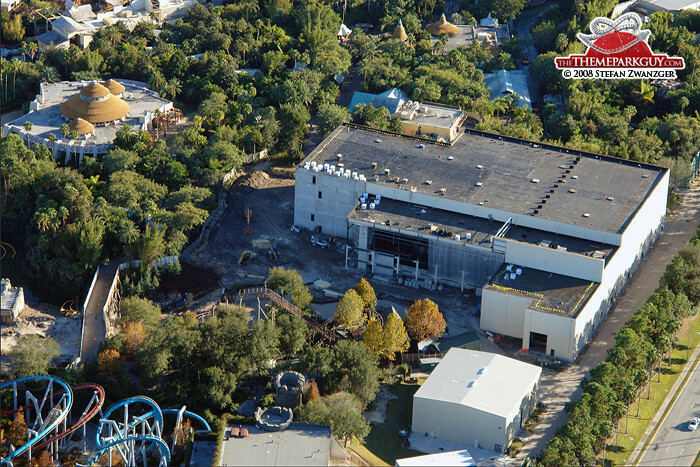 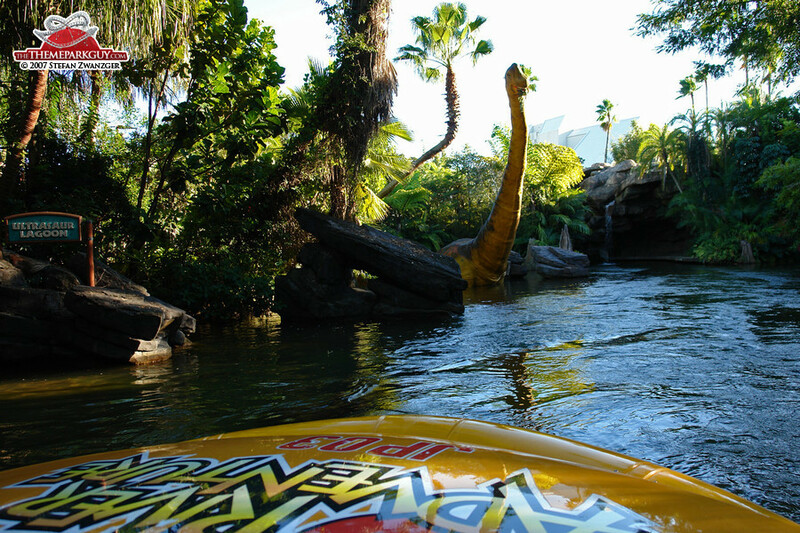 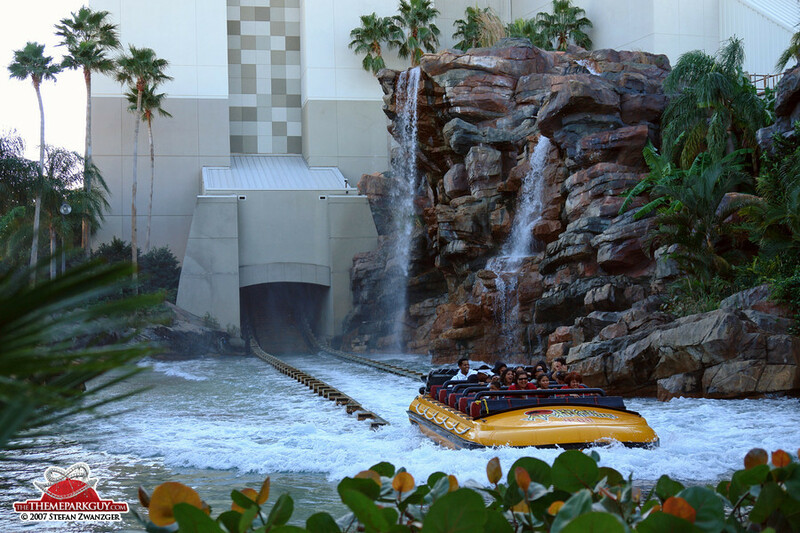 You'll enjoy the 'Jurassic Park' water ride, beautifully integrated into a jungle setting instead of a studio surrounding, featuring caves, primeval forests, swampland with dinosaur animatronics and John Williams’ film music. 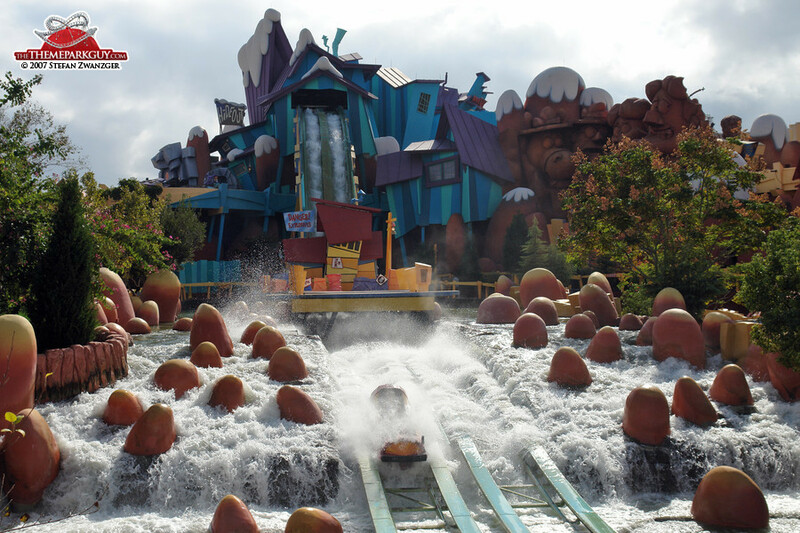 The ride's climax is one of the biggest storytelling accomplishments in theme park history: a monstrous surprise lifts your attention up (you will look up, believe me!) 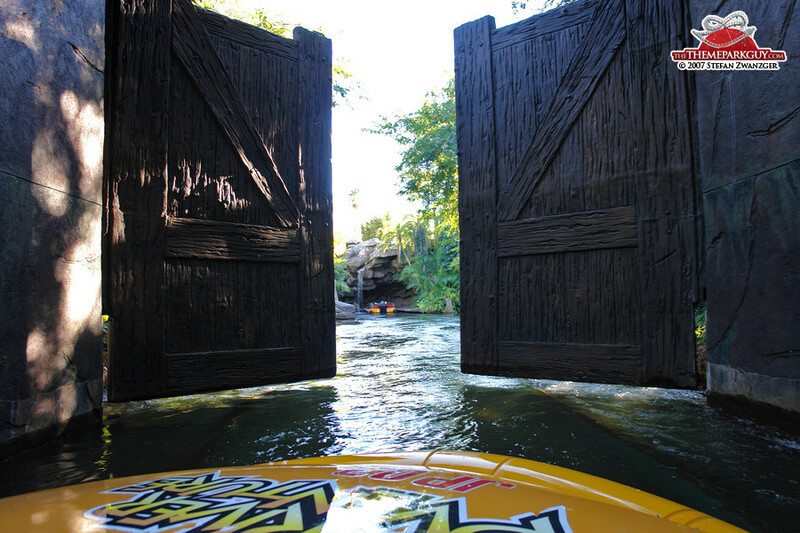 while your boat plunges down at the same time. 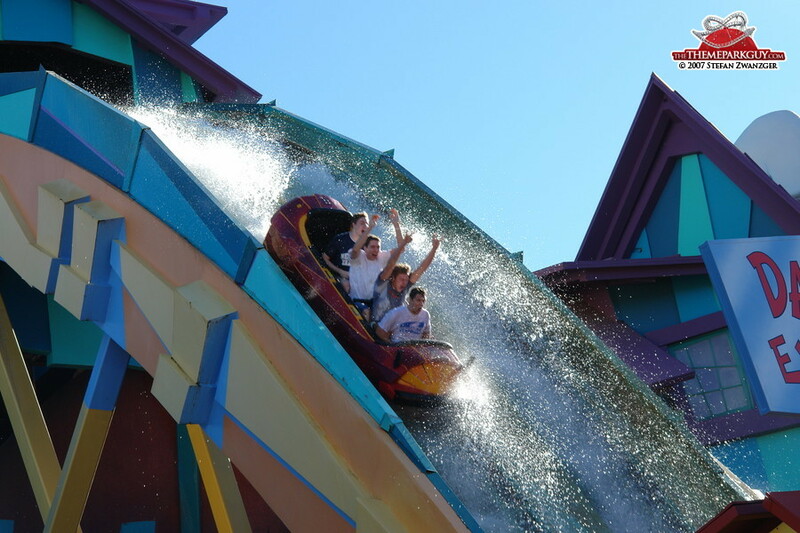 The timing is perfect, and everyone smiles after the splash. 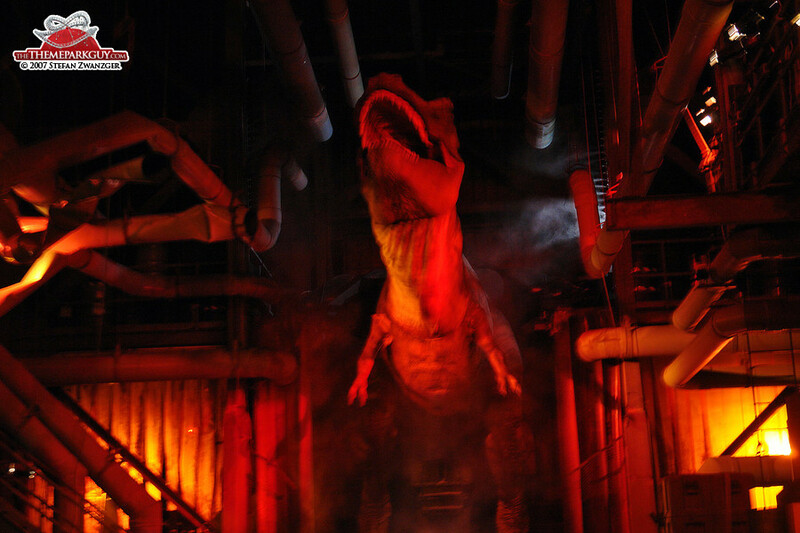 I’ve never, ever seen anyone unhappy after the Jurassic Park ride. 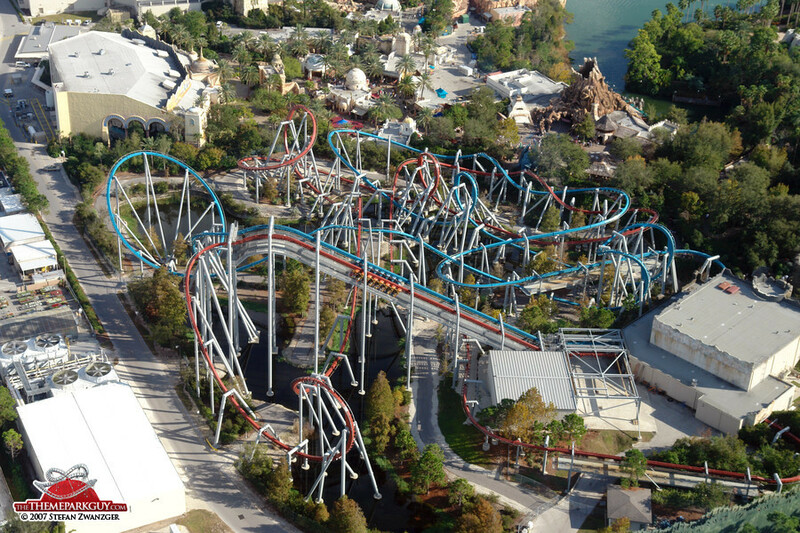 It so much works. 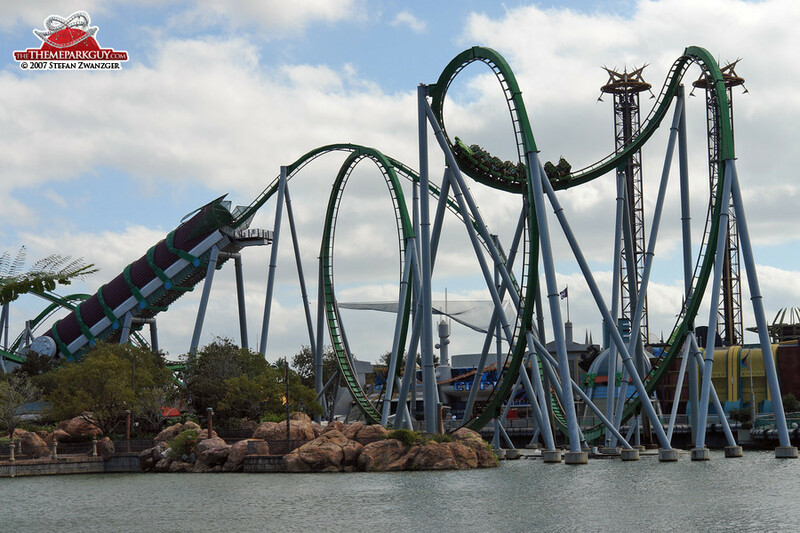 'The Amazing Adventures of Spider-Man' is the best illusion ride in the world today. 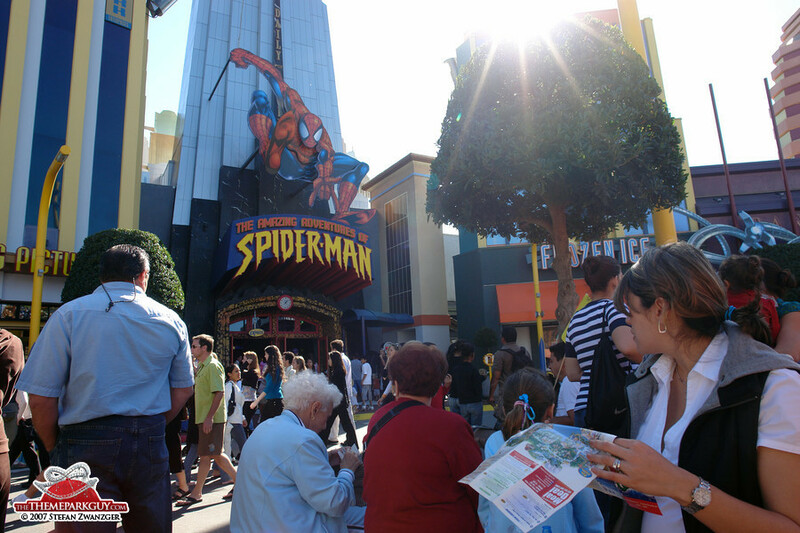 Wearing 3-D glasses, you and your spinning ride vehicle are lifted through various 3-D screens embedded in Spider-Man’s city landscape. 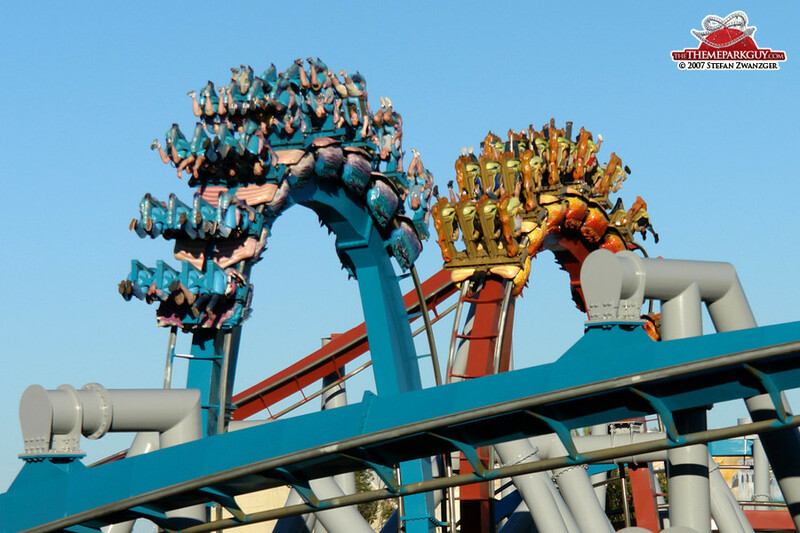 At the end you won’t know where top and bottom are, whether you’re falling, turning or dreaming – this ride completely alters your sense of orientation and your perception of movement! 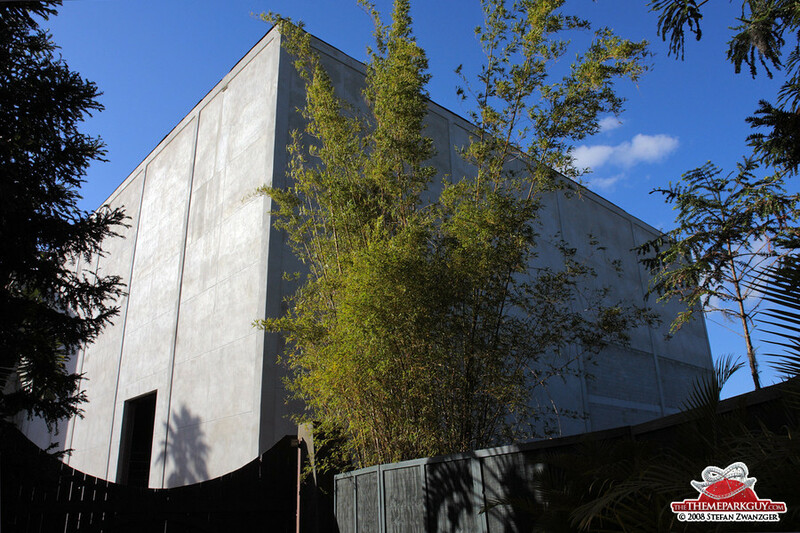 It's an ingenious piece of work! 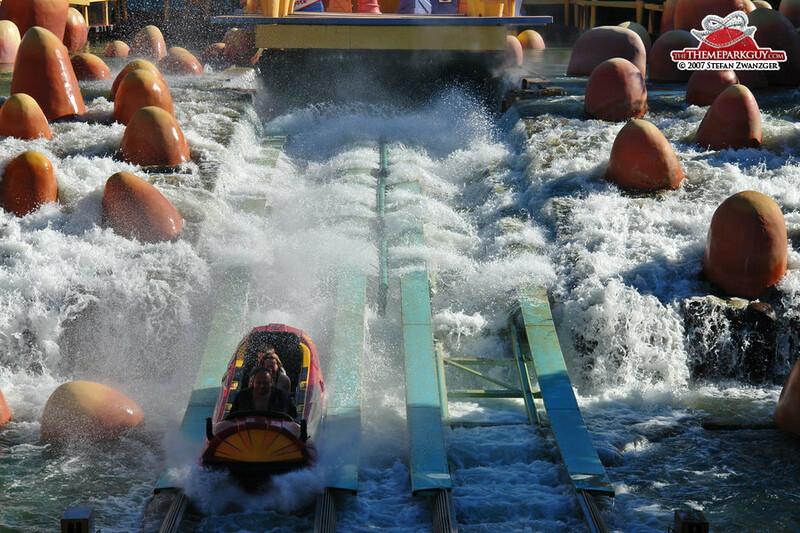 Other highlights are a very, very wet Dudley Do-Right themed ride and another very, very, VERY wet Popeye-themed river rapids ride, both very refreshing on summer days and very stupid to try on winter evenings. 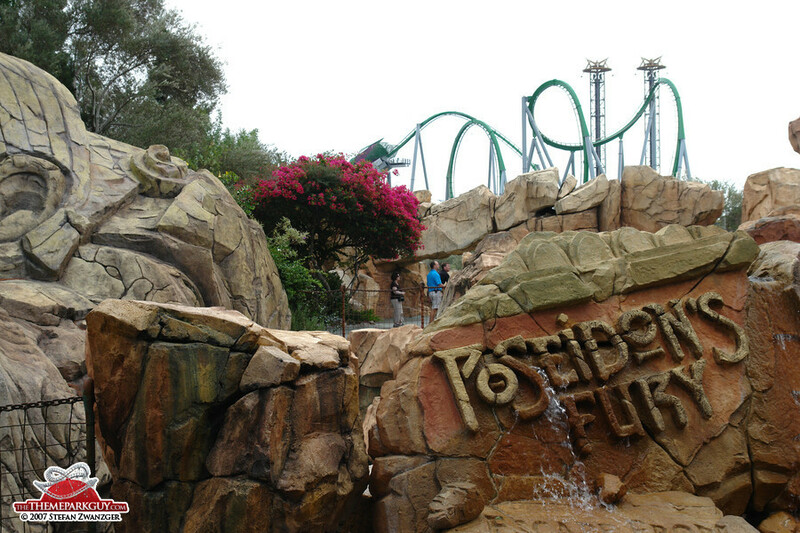 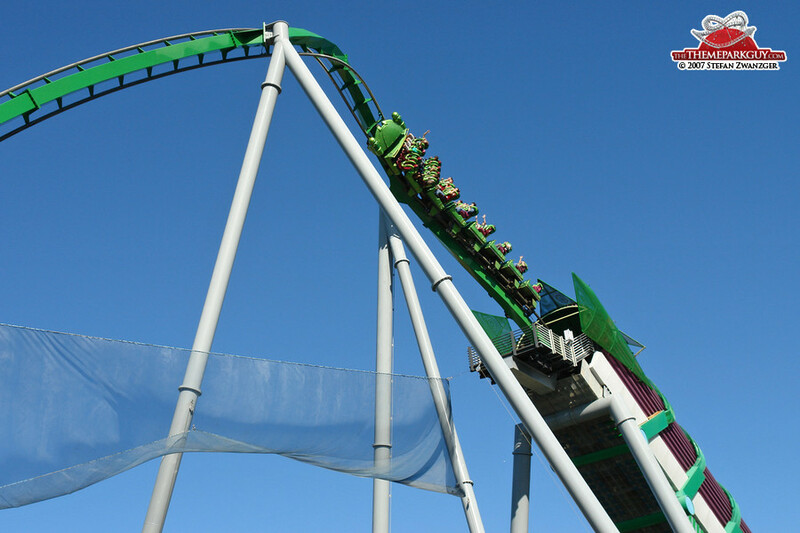 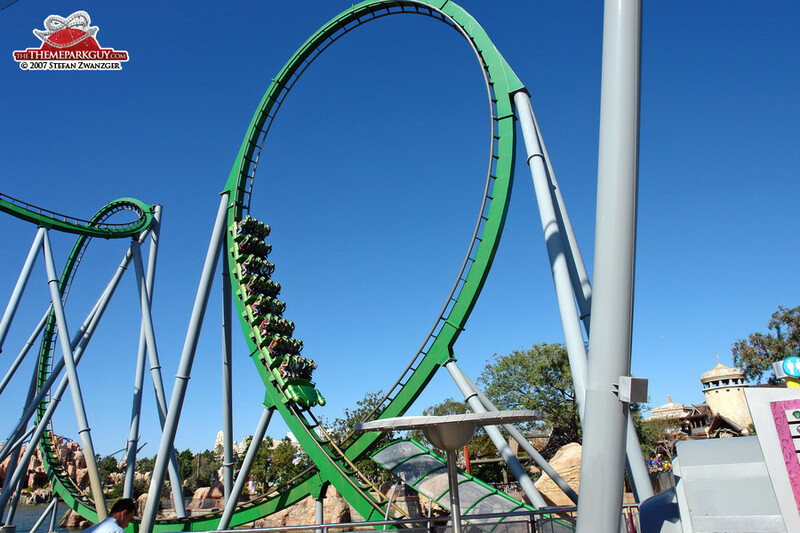 The 'Incredible Hulk Coaster' is a smooth, fast and weight-defying world-class roller coaster. 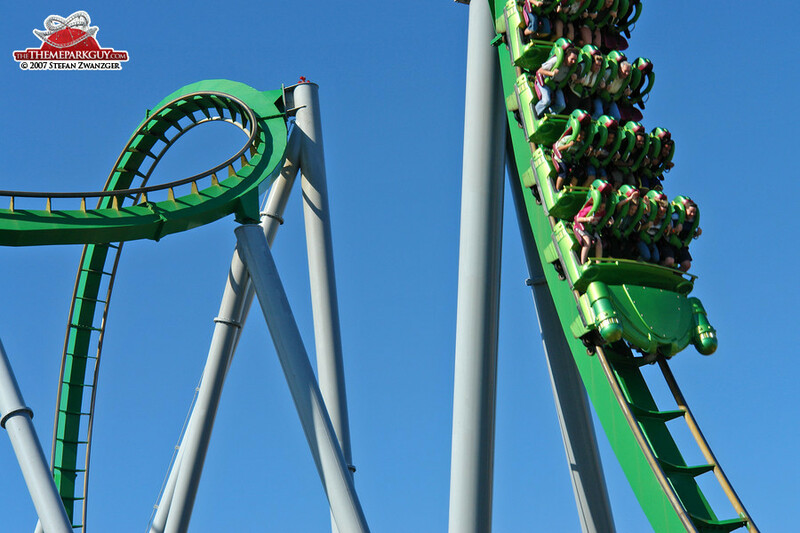 There is not much evidence of the Hulk theme, but it’s just good as it is. 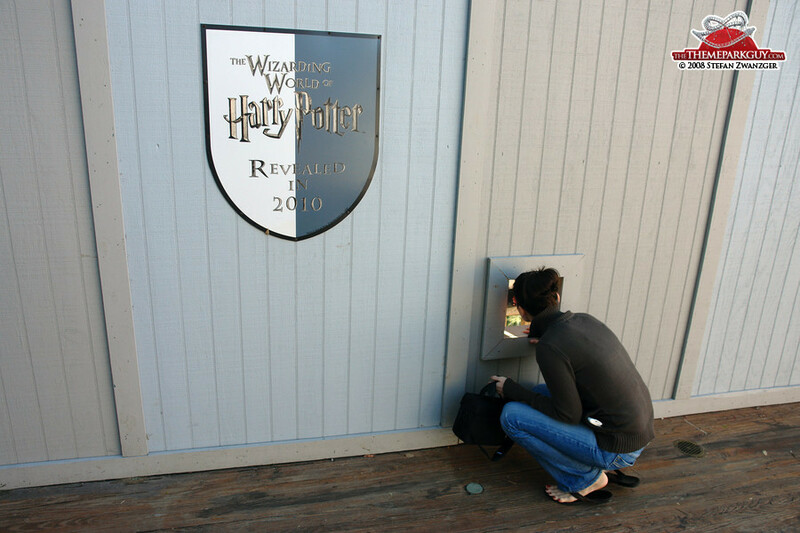 Click here for The Wizarding World of Harry Potter. 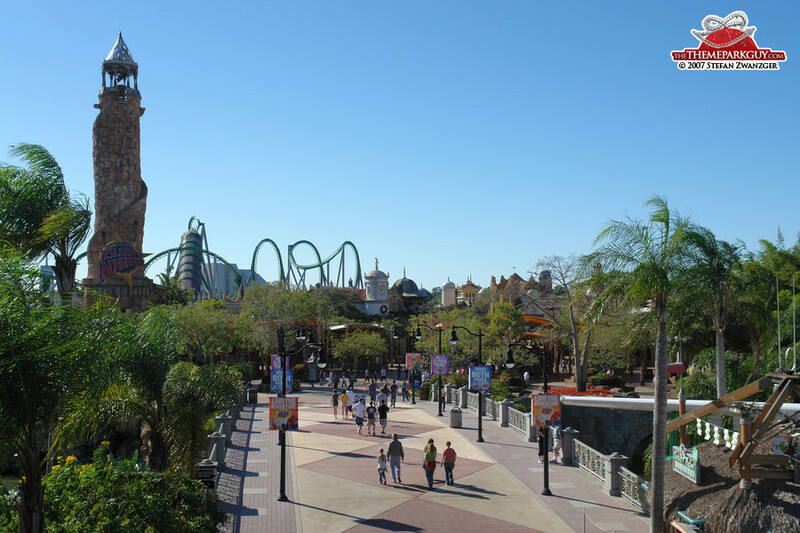 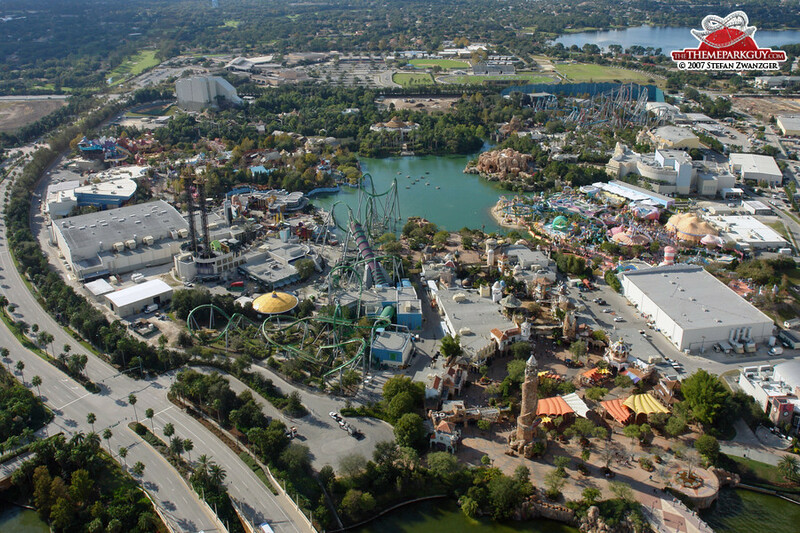 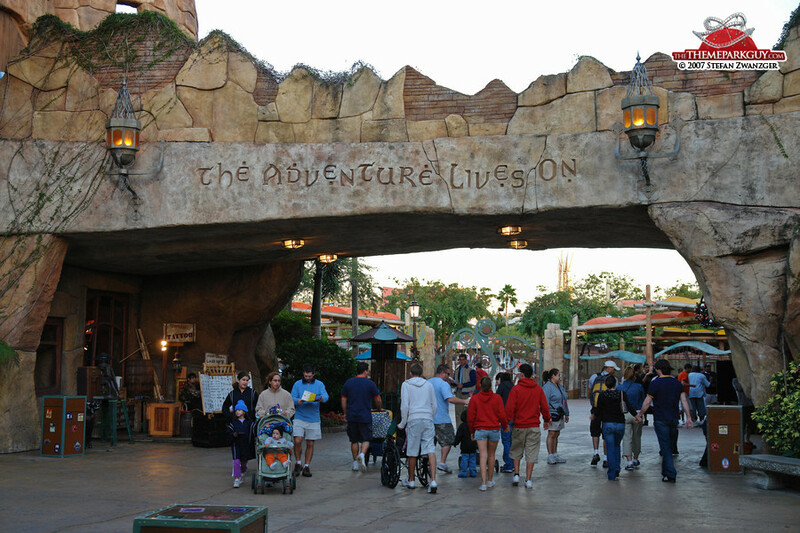 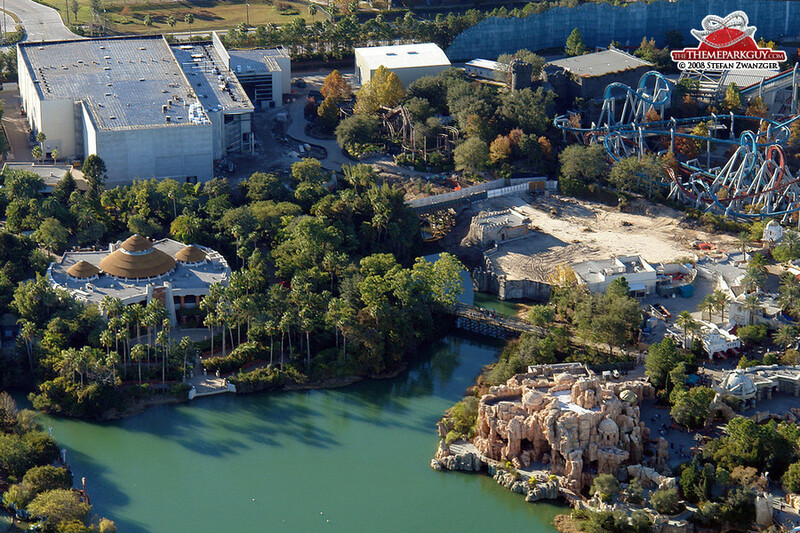 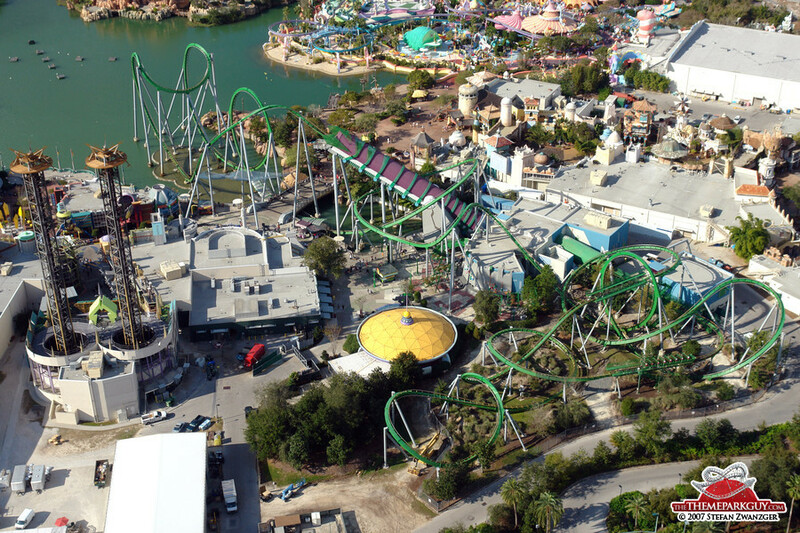 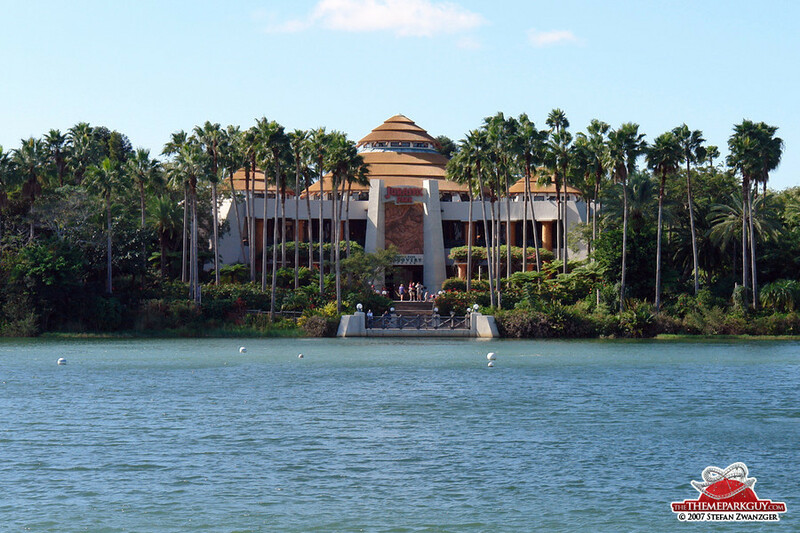 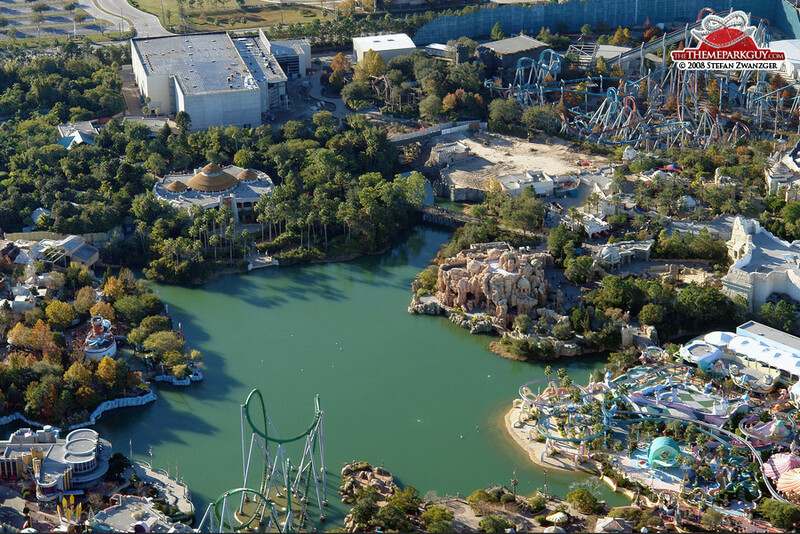 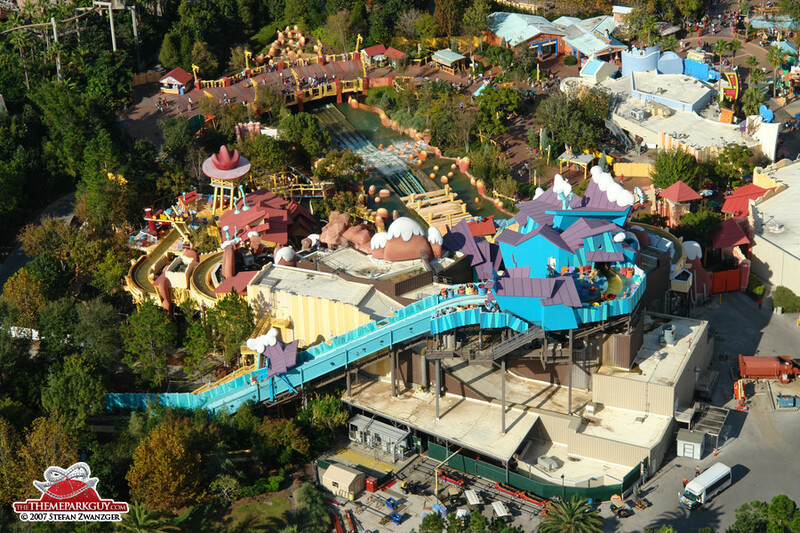 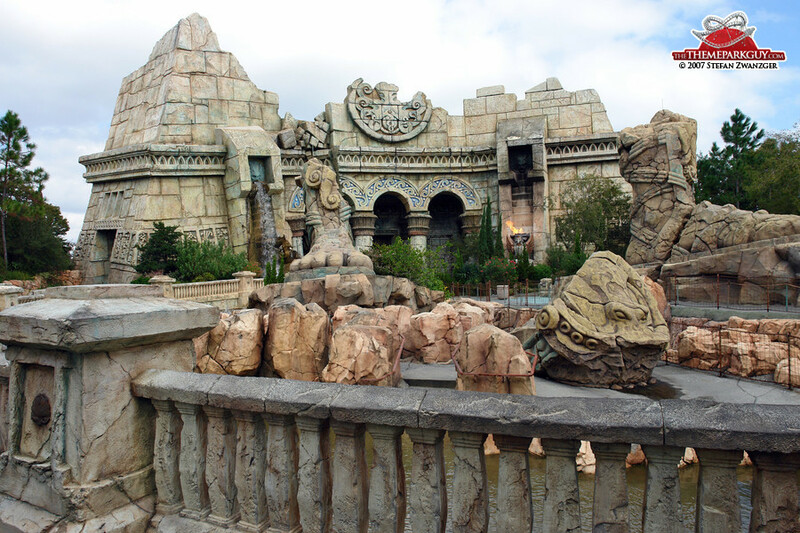 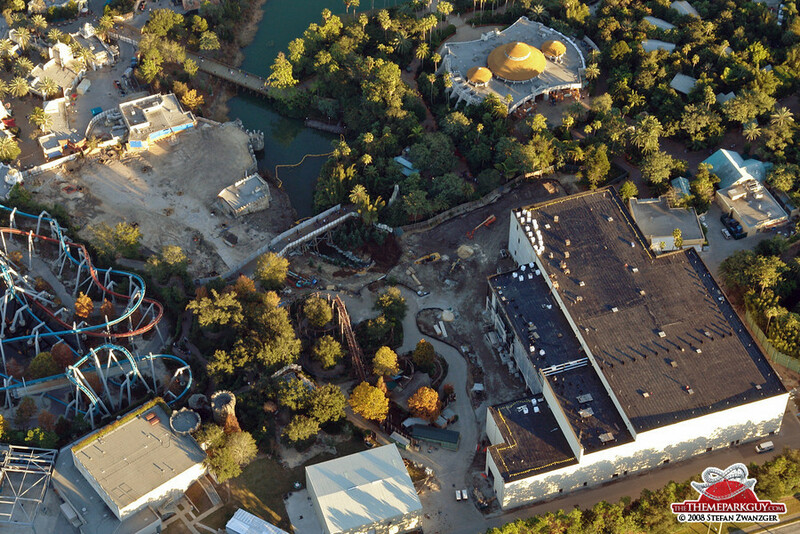 Universal's Island of Adventure is a must on your Orlando itinerary.